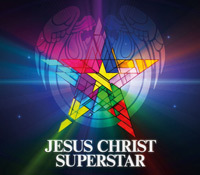 ITV (UK) are kicking off another of their Andrew Lloyd Webber based "find a star" talent shows - this time time to find a new Jesus for a Jesus Christ Superstar UK arena tour. To tie in, the original 1970 album has been digitally remastered for reissue on 16th July 2012. This featuures Ian Gillan as JC, and future Purple Records artist Yvonne Elliman as Mary Magdalene. According to pre-release promotion: "Following its release in 1970 the album reached the Number 1 spot in the Billboard charts twice in the same year, and went on to become the biggest selling record of 1971 in the USA. It has since sold over 7 million copies worldwide and for the first time the recording that started it all has been digitally remastered for the 21st century. Click the pic opposite to see a short promotional video clip for the remaster. Ian Gillan and Tony Iommi's new joint charity album project, featuring tracks old and new, rare and not quite so rare is available now from the DPAS Darker Than Blue online store. 02. BLACK SABBATH "Zero The Hero"
03.GILLAN'S INN feat. Iommi, Ian Paice and Roger Glover "Trashed"
04. M. Rakintzis feat. 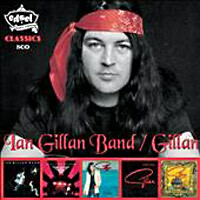 Ian Gillan "Get Away"
02. BLACK SABBATH "Anno Mundi"
05. Gillan & Glover feat. Dr. John "Can’t Believe You Wanna Leave me"
06. Ian Gillan & The Javelins "Can I Get A Witness"
Ian Gillan is due to take part in the latest round of the Rock Meets Classic tour, in early 2012. Most dates are in Germany, although a few neighbours are also visited. Other artists taking part are Steve Lukather (Toto), Jimi Jamison (Survivor), Chris Thompson (Manfred Mann’s Earth Band), and Robin Beck. 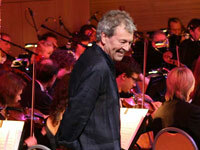 The Bohemian Symphony Orchestra will provide the backing, along with German rockers The Mat Sinner Band. Ian Gillan narrates an upcoming documentary, made in Poland, about the life of composer Frederic Chopin. A trailer is available to view on YouTube. 'Chopin's Story...' will be premiered the Progresja club, Warsaw, on 25 November 2011. Polish rock band Kruk (who supported Deep Purple at Slupsk in July) will also be playing at the event along with other guest bands. Ian Gillan is apparently not attending the event - Deep Purple play Glasgow on November 26 - but has reportedly prepared a special surprise for fans attending the evening. 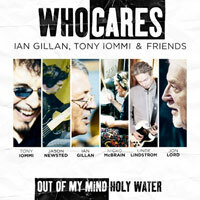 Ian Gillan and Tony Iomi are apparently considering a follow-up project to their recent "Out Of My Mind" charity single. Ian has told Bravewords that “I’ve got some free dates next April and I think we’re planning to get together for a week and see what happens, whether we’ll have enough time to make an album, I don’t know. Working with Tony is very quick because he’s unique. Who we will have on the other instruments I don't know. That probably wouldn't be discussed until we've written some songs, and certainly I wouldn't have time for a tour because Deep Purple's always working and there'll be no point in trying to rehearse a band up for one or two shows." 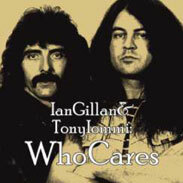 Ian Gillan has announced a physical edition of the Gillan / Iommi outfit Who Cares' debut single, a sop to us saddo collectors who don't want to buy our music as downloads no doubt. It's a two track disc and if you've missed it, Jon Lord handles the keyboards. The other players are Nicko McBrain, Jason Newsted and Linde Lindström. They're all featured on the cover. The lead track is titled "Out Of My Mind". A promo trailer is available to view on YouTube. Tthe single was released on 6 May 2011, with proceeds going towards the rebuilding of an erathquake damaged music school in Gyumri, Armenia. Ian discusses the project, among other things - such as Nick Fyffe's recent stint with Deep Purple, in a new interview with Yiannis Dolas of Rockpages Web Magazine. The Black Sabbath / Ian Gillan tie-up album Born Again gets the Universal deluxe reissue treatment shortly, with a release date set for 30 May. Sadly they have been unable to find the master tapes, so a remix is not possible. Instead the album will be remastered, and they are at last adding the vintage 1983 Reading Festival performance recording done for Radio 1 (the line up’s only UK show) as the bonus disc, along with studio out-take "The Fallen", and an extended version of the "Stonehange" instrumental. 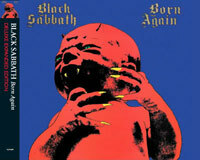 Black Sabbath / Born Again (2CD Deluxe) can be pre-ordered from the DPAS Darker Than Blue onlne store. There is a 20th Anniversary Edition of the Rock Aid Armenia project due this month, rounding up the original versions, the video and some more new mixes. BBC TV's "Culture Show" on Thursday 4th November included a feature on the original Jesus Christ Superstar album, which featured Ian Gillan on lead vocals, backed by members of The Grease Band. Interviewee Andrew Lloyd-Webber remembers Ian's contribution to 'The Entrance To The Temple': "That peformance he gives there I've never heard since." The episode can be viewed by anyone based in the UK at ww.bbc.co.uk/iplayer with the JC Supertar piece starting at around 24 minutes. There is a limited edition 5CD box set featuring five Gillan albums out any day - a curious mix of Child In Time, Budokan, Mr. Universe, Glory Road and Magic. These are the standard track listings, not expanded versions. The attraction is that they all come in card reproductions of the original sleeves. It's available to order at dpas mail-order. 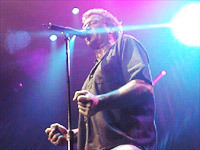 Ian Gillan is joining a full Rock Meets Classic tour (mostly of Germany) in January 2011, along with Lou Gramm (FOREIGNER),and Dan McCafferty (NAZARETH). They will each have spotlight slots, with a backing band and the Bohemian Symphony Orchestra from Prague. This reprises a number of similar one-off slots he's done for this project in recent years. Steve Lee from Swiss band Gotthard had also been lined up for the tour, but was sadly killed in a motorcycle accident on 5 October 2010. 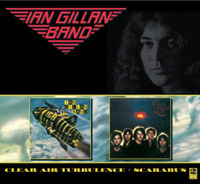 Edsel are issuing another three of the slipcase Gillan editions shortly. There's a double CD containing Naked Thunder, Toolbox and Cher Kazoo out on July 26. 2010. It contains the standard tracks as available on the separate editions, split across two CDs (or you can pick them up individually in the nice digipaks which came out recently on import, still in stock at DPAS Mailorder). Also on the way earlier in July are a remaster of Accidentally On Purpose, 1CD set, and a double set with Clear Air and Scarabus. Thanks to Edsel for the press sheets. All can be ordered from dpas mail-order. According to the organisers, a DVD of Ian Gillan performing with the State Philharmonic Orchestra of Armenia on March 26 and 27, 2010 in Yerevan, is due out in September 2010, sourced from the local TV film of the show. A percentage of the sales prices will go towards the rebuilding of a music school in the country. No details yet on label. 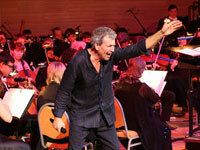 Ian Gillan perfromed at a "Rock Meets Classic" concert on 31st March at Großes Haus, Linz, Austria, alongside the Bruckner Orchester Linz, with conductor Friedemann Riehler. 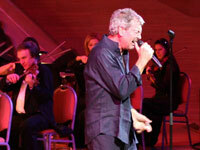 Ian Gillan recently performed two shows with the Armenian Philharmonic Orchestra which raised money to rebuild Gyumri’s No. 6 Music School. 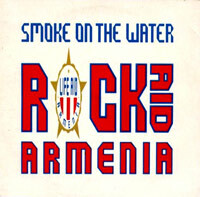 Other fund raisers are apparently being planned under the "Rock Aid Armenia/ Armenia Grateful 2 Rock" banner.